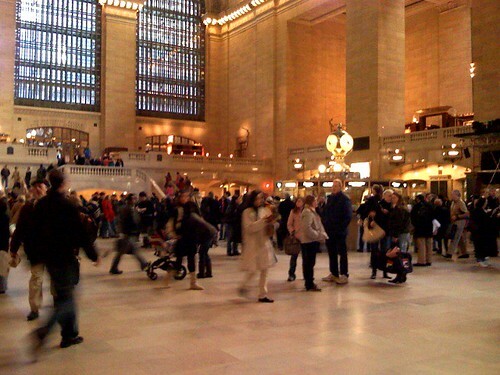 Grand Central, originally uploaded by niehoff. The iPhone takes nice pics i see! Im from catskill N.Y. and been to Grand Central before, they are building another transit statiopn underneath it, plus they have that secret basement under thwere i saw on history channel that used to transport military equipment in the early world wars. very interesting place.